I never thought I'd see the day I'd be sporting a puffer jacket, or anything remotely padded for that matter. 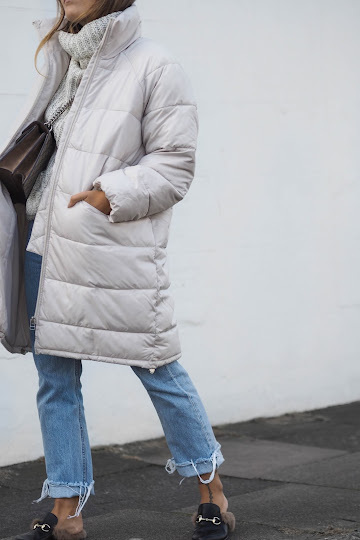 This trend is so incredibly 90s, as soon as I picked up this longline puffa jacket I had instant visions of my mum picking me up from infant school-complete with a perm and red puffa jacket to match. Now I understand this trend is very much like marmite, and I'm sure the majority of you will smirk and scroll on. But, hear me out! 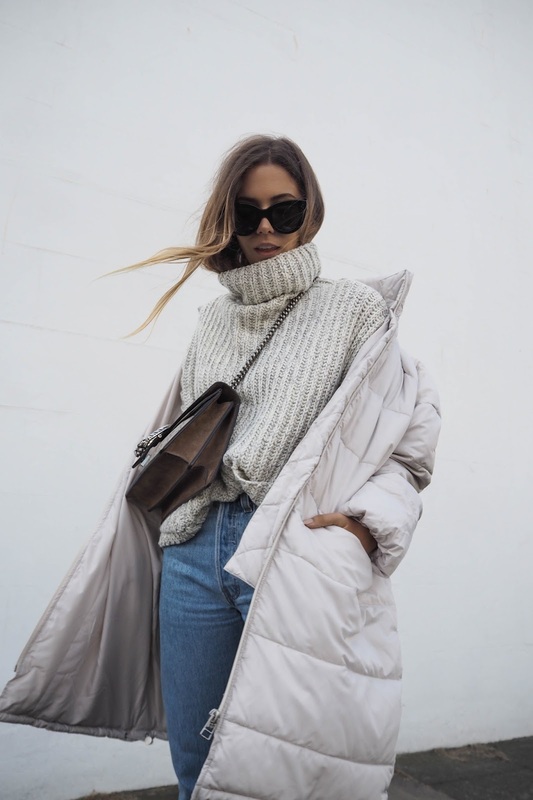 As Vogue reported from the FROW's back in February, we've already witnessed the likes of Alexander McQueen and Marques Almeida sporting this very look. So as the bible suggests if it's good enough for Fashion Week, it's very much good for me! As I always say with trends, it's better to keep everything else casual especially when you're experimenting and/or feel slightly out of your comfort zone. 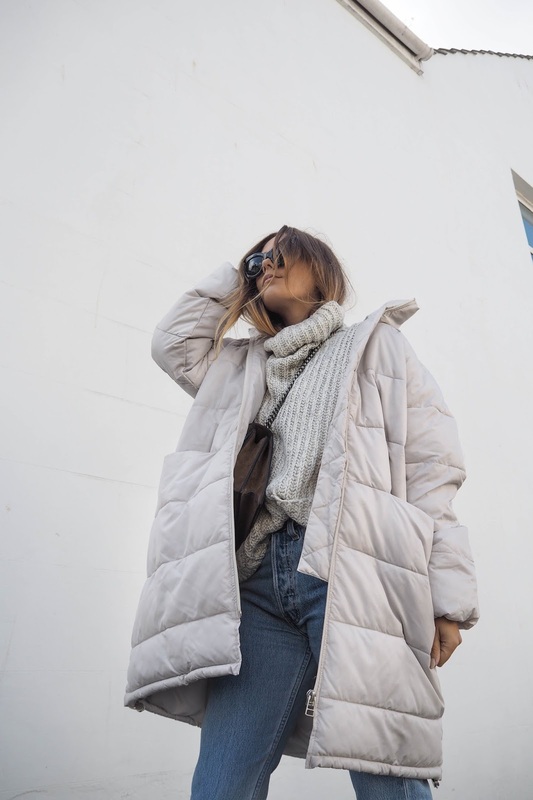 Denim is always the way to go-a pair of straight leg jeans and a chunky something is always going to see you through the Winter months. 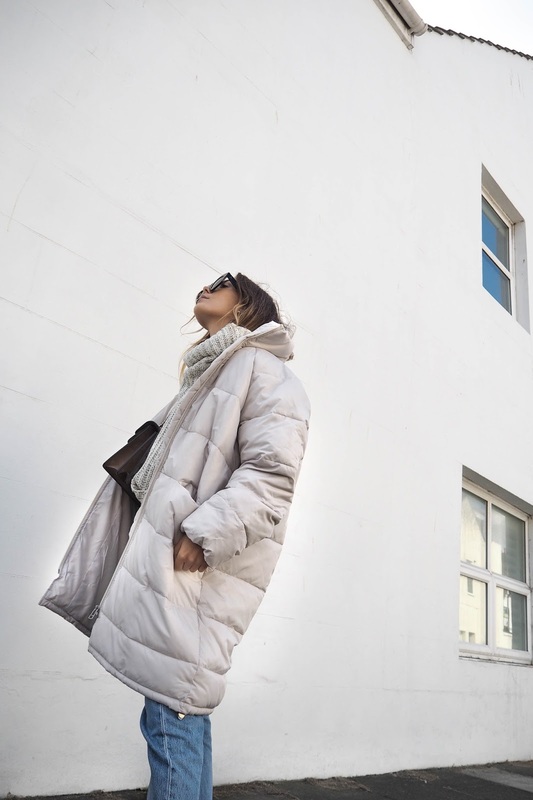 Once a fashion faux pays, the puffa has now re-emerged. 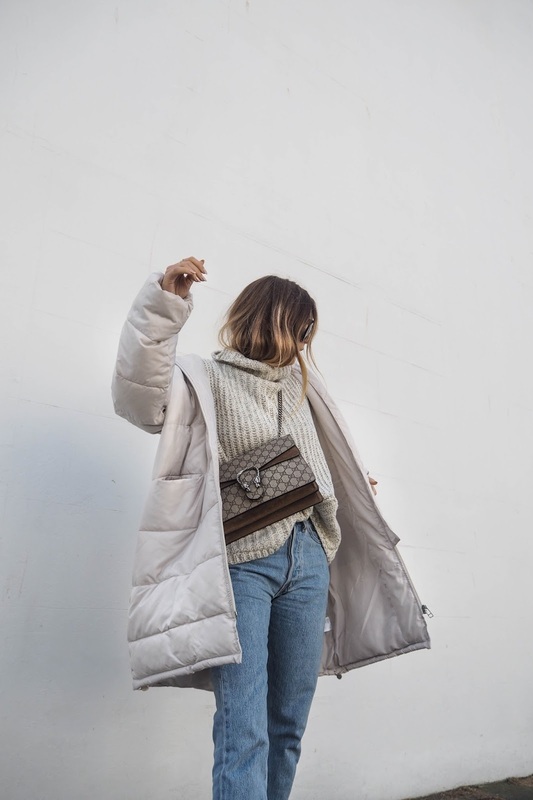 If you're looking to extend your wardrobe with even more new season essentials then you'll want to check out this TU clothing article with my top 7 faves! I really can't decide if I love this trend or not since like you said, all I can imagine is my mum picking me up from school haha you really work it though! So in love with this look! Just perfect for fall! 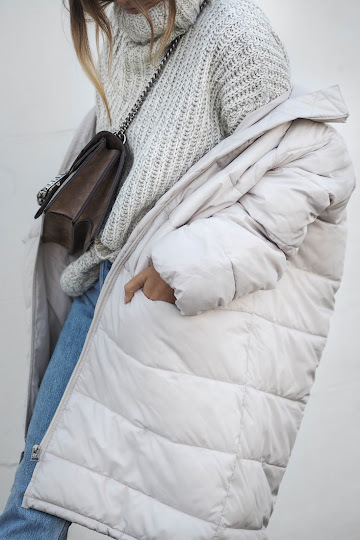 I think puffers are such a matter of taste, but this is a gorge outfit! I never thought I'd love a puffa - but you've swayed me!